Puttenham is a small village in north west Hertfordshire, England. It is in the Tring Rural parish. 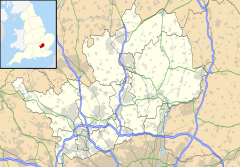 Until 1 April 1964, Puttenham was a Civil Parish in its own right. At the time of the merger with Tring Rural it had a population of 107 . This page was last edited on 24 February 2018, at 13:59 (UTC).